Such a fun find. Not entering because I won a lovely anchor monogrammed tote a couple months back. Thanks for sharing this Etsy store. Awesome giveaway, so many great products on Etsy! I love this giveaway and would love to win it for my daughter. She was just initiated into Delta Gamma and this would be perfect for her since the anchor is their symbol. this bag is my favorite but also love the anchor glitter tote bag in hot pink. 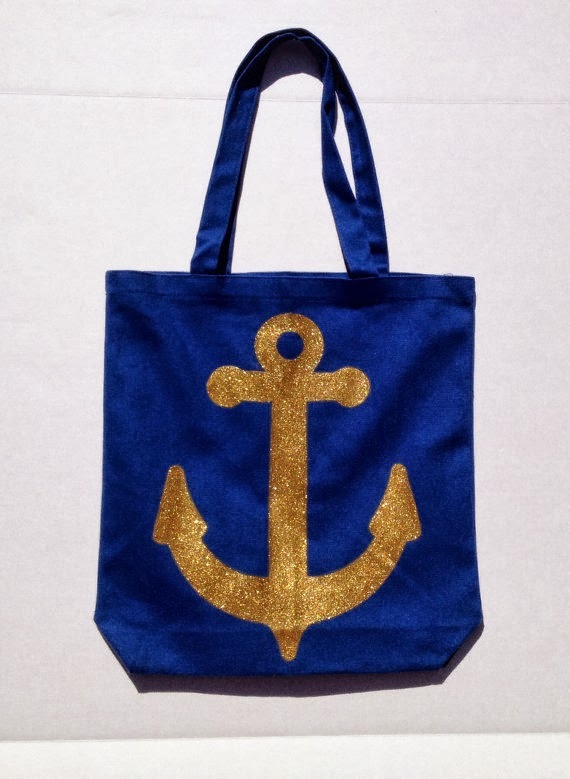 I honestly think my favorite bag is this blue and gold one. 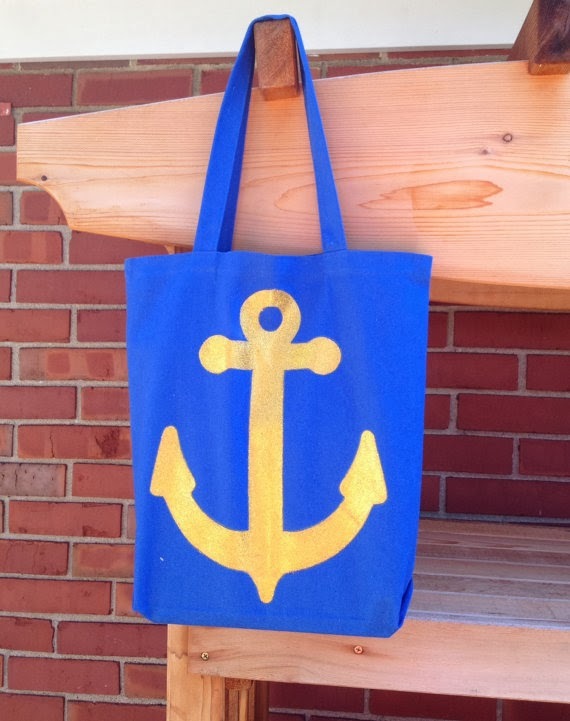 They were my high school colors and an anchor was a part of our band uniforms. Haha!